Which Braxton is with Kordell Stewart & Which is Trisexual? *Arsenio Hall welcomed the ladies of Braxton Family Values Tuesday night “The Arsenio Hall Show“ and it didn’t take long for the dirt to come out. 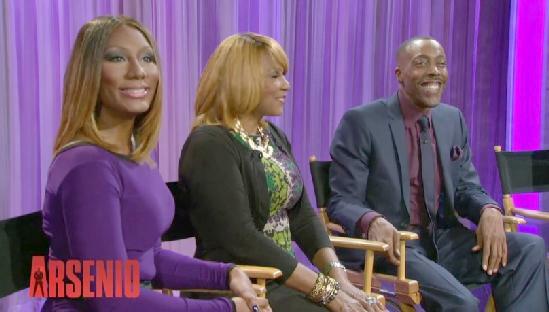 Toni, Trina, Towanda, Traci, and Evelyn Braxton joined Arsenio, who couldn’t resist addressing the dating rumors between Kordell Stewart and Towanda. “I, Frankenstein” actress Yvonne Strahovski also stopped in and shared details about her announced role the new season of ’24’.